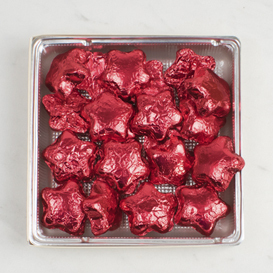 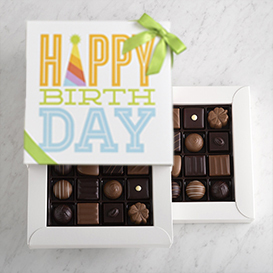 Send sweet birthday wishes with our handcrafted Swiss chocolates! 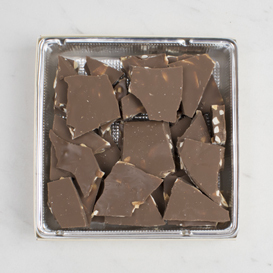 Stacked with four full tiers of shareable chocolates, including this gift is the perfect surprise for their special day. 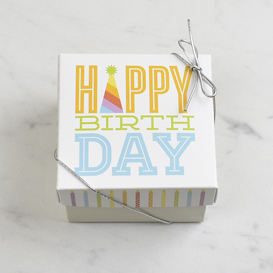 Bottom Tier: A Two Layer Deluxe Collection Box, filled with two identical layers of our 16 best selling chocolates, finished with a bright and fun Happy Birthday Gift Topper. 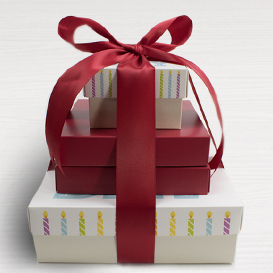 Top Tier: A special Eight Piece box filled with a variety of our most popular flavors, finished with a fun, colorful Happy Birthday Gift Topper.